So you’re thinking of becoming a taxi driver? The road to becoming a taxi driver (no pun intended!) is not quite as straightforward as painting your car black, popping an amber light on top and picking up passengers straight away. There are a lot of considerations to be made when becoming a taxi driver that might not be immediately obvious. Below, we run through some of the first questions you might need to ask and factors you might need to consider if you were thinking of a career as a taxi driver. 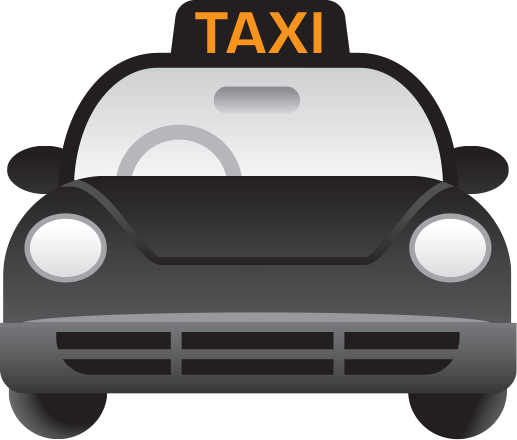 There are broadly two categories of cab services: public and private. Put simply, private cabs are those which will only pick up customers with whom an agreement has already been made – such as an airport pick-up or minicab service – while public cabs are those that you can hail from the street (also known as Hackney carriages, which include London’s black cabs). Outside of the UK’s capital, driving a taxi first of all requires one of two types of licence: the Hackney carriage licence for public taxis, or a private hire licence. Both are issued by local councils around the country and require the right to work legally in the UK and holding a full GB, Northern Ireland or EU driving licence for at least 12 months. There may be background and character checks, including a full criminal records analysis from DBS, and optional medical examinations, knowledge tests and potentially enhanced driving exams, depending on your local authority. Inside London, taxi licences are issued by Transport for London and require a few more hoops to jump through than outside the city. For private hire, there are extra fees together with an age requirement of 21 years old and the need to take a “topographical skills assessment” – which sounds like a map-reading exam – as part of your application. To be a public cab driver in London, and be behind the wheel of one of the city’s famous black cabs, there’s a slightly more arduous application process to undertake. Once you are licensed, you’re able to choose to learn either the infamous all-London Knowledge – effectively memorising all the streets in a 6-mile radius of Charing Cross – or a given suburban sector. This is what sets TfL’s cab drivers apart – their intimate knowledge of the road systems they work on, without the need for a sat nav. Though there is some turnover for new licences approved for London and the UK’s cab drivers, both TfL and the DVLA urge you to assess the labour market wherever you are driving to make sure it will make financial sense. TfL in particular are legally obliged to issue licences if drivers meet the statutory eligibility criteria, despite the capital’s saturated roads. Another option open to a prospective cabbie is to become an Uber driver. Driving for the online company is far more flexible and less demanding than driving a private or public vehicle, but has its own frustrations – and could potentially be banned from London for the foreseeable future. Until then, however, Uber provides a great way to work if you already have another job, or children, or other commitments you need to work around. First of all, Uber suits drivers with their own vehicles best of all. These need to be five years old or less, else Uber itself offers finance deals and discounts on new cars. You will still need a private hire vehicle licence to be an Uber driver, available from your local council at a cost of around £100. You also need a smart phone with an internet connection to be able to pick up fares and log journeys you’ve made. There are other undertakings you’ll need to consider – more equipment you might need, how you might need to pay tax, etc. – but once you’ve decided how you’d like to work, one of the most critical things you need is insurance that covers you fully. Taxi driving involves covering a higher mileage than most drivers on standard car insurance policies, as well as a few extra risks, so finding the right policy is crucial. In general, insurance providers will stipulate a minimum driver age – usually 25- too. Private and public hire policies are different and you need to be sure about which kind of driver you want to be before searching for a policy. Public hires are arguably riskier to insure than private hire cabs, but generally involve newer vehicles and more experienced drivers, so some insurers may look favourably upon them. There are also separate provisions for minibuses, people carriers or MPVs due to the higher number of passengers being transported. Those who own a fleet of taxis might consider taxi fleet insurance – in particular, the convenience and savings of all-driver policies may be attractive when additional drivers are added, particularly when compared to named driver or single vehicle insurance products. Finally, there are several additional covers available to taxi drivers. First is public liability insurance, which comes as standard on many (but not all) policies and protects you from claims made by customers injured or who suffer another loss when travelling in your cab. Breakdown cover is important too, as your vehicle represents your livelihood, so getting back on your wheels after an accident or technical hitch is paramount. Personal use cover might be useful if you also drive your vehicle when not working, as will policies that allow unlimited mileage, particularly if taxi driving is your main source of income. To make sure you’re getting the coverage you need at the best price possible, it’s best to get in touch with a taxi insurance broker. ChoiceQuote is one of the leading names in taxi insurance in the UK. Give us a call on 01625 400201 to discuss your insurance premium for private, public or Uber taxi insurance.